I believe that effective use of computer technology and related systems is one of the important keys to our long term success as a town. Many corporations have successfully navigated recent turbulent economic times through innovative use of technology. Productivity gains leading to lower costs can be achieved through effective deployment of new capital (+ employee training) particularly for computer technology related systems. 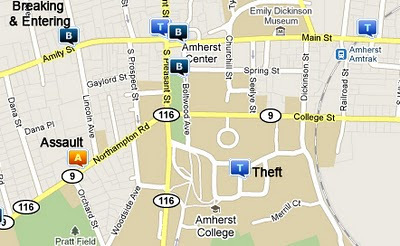 Various computer technologies and systems are involved in many aspects of our town government ranging from the Finance Department, Town Clerk and Assessor’s offices, Storrs Library, DPW and Police/ Fire Departments. Technology is vitally important to the success of the education process in Longmeadow as well. As a town we do some things well and other things not so well. The installation of the new water meters with transmitters that allow the town to collect and bill town residents in a much faster and more efficient manner is but one small example of how technology can help the town reduce costs and achieve our long term goals. Our town wide high speed phone system can effectively inform town residents (or a group of town residents) about an emergency or situation in a very short time and is another good example of what we are doing well. In contrast to those examples, original property records in the Assessor's Office are 20th century technology at best. If you have needed to review the details of your original property record at Town Hall, you will find that the town still uses paper records. Let’s hope that the piece of paper for your original plot plan is never lost or misplaced. Check with East Longmeadow and other surrounding towns and you will find that they utilize an online GIS system which provides a wealth of information for homeowners and other interested parties. I suspect that there may be significant cost reduction and/or service improvement opportunities in this area. We need more training for all of our town employees including teachers to effectively utilize the technology resources that we already have and for each town employee to become more productive in the workplace. It is more than new computers, wireless networking and new software for our school system. Police, Fire, Town Hall, Storrs Library all have opportunities and needs that could reduce costs and provide new services that must be considered when allocating our limited financial resources. Without regular (or annual) Proposition 2½ overrides Longmeadow will always be required to prioritize its needs. Technology equipment and resources will become an ever increasing demand on our limited resources. Armand Wray, School Committee chair cited a “memorandum of understanding” (MOU) between the SC and SB at this week’s SC meeting. It stated that the proposed new IT department’s budget will not be subject to “line item” transfer of funds to other school department needs. That is not my concern…. The primary mission of the School Superintendent and the Longmeadow SC is the education of our children. Adding the additional responsibility for the broad scope of the town’s IT needs just doesn’t make sense. The issue of "student privacy" being used as a reason for consolidating the IT department under the School Department is a "red herring". The Police and Fire Departments already have rigid security requirements under Homeland Security so the issue is not unique within our town. From Wikipedia… Information Systems (IS) is an academic/ professional discipline concerned with the strategic, managerial and operational activities involved in the gathering, processing, storing, distributing and use of information, and its associated technologies, in society and organizations. I recommend that the Longmeadow Select Board consider creation of a new separate department under Town Government called Information Systems and not simply consolidate the current town and school IT efforts under the auspices of the Longmeadow School Department. There will be a Select Board hearing on Monday, November 15 at 8 PM to hear public comments regarding the consolidation of the school and town IT departments under the School Department. This public hearing is required because a change in the Town Charter is required. While it would appear that the Aseltine-Barkett-Swanson majority is in favor of this change and this hearing is only a formality, I would urge all concerned residents to attend the meeting and voice their opposition to this town charter change. Note: If you are interested in adding your comments, simply send them with your name and address to longmeadowbuzz@comcast.net. My wife and I were taking a walk yesterday afternoon in our neighborhood and learned about a series of robberies that had taken place- something that doesn't happen very often. We were concerned when we learned that we knew most of the homeowners and they were elderly. It was good to see that the robberies were made public this morning with a front page story in the Springfield Republican. Here is a link to the full story. Alerting all home owners in the affected area as well as the rest of the town is good policy. 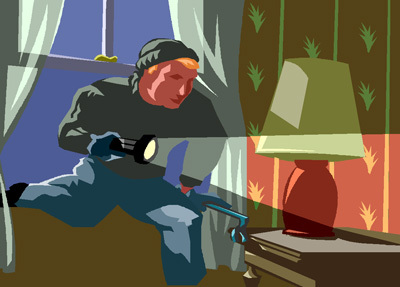 Hopefully, a tip from an alert home owner will eventually result in capture of the individual(s) involved with these break-ins. In the past the town of Longmeadow has been relatively slow in publicizing such events. Reading the weekly police log in the Longmeadow News or the Daily Log (updated once/ week) on the Longmeadow Police Department website is not an effective way to alert town residents. We have a high speed automated phone system that can alert all town residents or a specific section of town about a problem or issue within minutes. It has been used in the past effectively to find missing persons, water main outage, etc. Why wasn't it used to alert town residents about these robberies? Not everyone gets the Springfield Republican newspaper delivered or watches the local news everyday. I as a resident in the affected area of town want to be informed. Perhaps, such a call would have encouraged a town resident to call the police if they spotted a suspicious individual in their neighborhood. If you haven't signed up for the automatic town wide phone list, you should plan to do so.... Click here to signup. In a town wide emergency you will be glad that you did! The Longmeadow Select Board started its discussion of the consolidation of the Information Technology (IT) organizations of town government and schools at the SB's August 23 goal setting session at the First Church (see my earlier post). From the outset it appeared that the goal was to re-organize IT services with the School Department assuming complete responsibility for town wide support including people and resources. The School Dept IT needs are in many cases very different from town government needs with financial and other business related software being extremely important to the successful town government operations. Current town related IT headcount is 1 while the School Dept has ~ 5.7 employees (only 1 FT- 12 months/year employee). Storrs Library depends upon the town to provide computer IT support and from my involvement this support has been almost non-existent for many years. Our 6½ year old Town Charter (Section 6-2) states that the Dept of Finance and Administration is responsible for the town government IT and led by the Finance Director (currently Paul Pasterczyk). (a) Establishment and Scope - there shall be a department of finance and administration responsible for the fiscal affairs of the town and for the coordination and overall supervision of all business, fiscal, and financial activities of all town agencies, including the school department. The department of finance and administration shall include the functions of accounting, tax and fee collections, treasury management, assessing, purchasing, contracting, information technology, town clerk’s functions, personnel functions and those functions further assigned by the town manager. (b) The department shall be subject to the direction of a finance director who shall be appointed by, and directly responsible to, the town manager. The finance director shall serve at the pleasure of the town manager and shall be especially fitted by education, training and experience for the duties of the office. The finance director may also serve simultaneously as town accountant; or collector; or treasurer, but may not serve as town accountant and collector simultaneously. "The Longmeadow Select Board will conduct a hearing on Monday November 15 at 8:00 pm on a proposed re-organization under Section 6-1 of the Charter. The proposed administrative code, submitted by the Town Manager to the Select Board, would consolidate town Information Technology (IT) with school IT, and place IT operations and budget under the school department. Staff and officials representing the town and school have been working since late summer and placed a proposal before the Select Board on November 1. The proposal anticipates that a consolidation will be more effective and efficient in coordinating IT purchases and implementation of new technology. The plan also proposes the formation of a Technology Advisory Board to assist personnel and policy makers in developing a strategic plan and advise them on future needs. The School Committee will be discussing this proposal at its November 8 meeting." Below are video clips (courtesy of LCTV) from the November 1 SB meeting where the latest IT consolidation discussions took place. Below is a video clip from the School Committee meeting on November 8 during which IT consolidation was discussed. Given the role of technology in the operation of both schools and town government, I agree that the Town of Longmeadow has not properly funded nor organized its IT effort. This is particularly true with regard to town government IT services. In my next post I will propose an alternative organizational proposal for consideration by the SB. The Town of Longmeadow has now moved to the Internet as a means to sell surplus equipment and confiscated items that typically in the past has been sold via a public auction at the Police Department garage on a Saturday afternoon. There is a notice on the http://www.longmeadow.org/ homepage announcing that there is an EBAY AUCTION currently underway by the Town of Longmeadow on EBAY from now until November 16 with a total of 88 items eligible to be purchased. The current bids for these items range from $5 for a BMX bike to $4050 for forklift/ bucket loader. Other items include printers, antique chandeliers, lawn mowers and much more. Congratulations to Chad Thompson/ Purchasing Coordinator and other town employees who organized this effort. Hopefully, using EBAY will derive much greater financial results than would have been achieved by a local auction at the LPD garage.